Belarus began military drills on its border with Ukraine on Monday, as the country becomes increasingly wary of instability and NATO activity at its borders. Belarus began military exercises on its border with Ukraine with the goal of strengthening the border, the country's Ministry of Defense said on Monday. 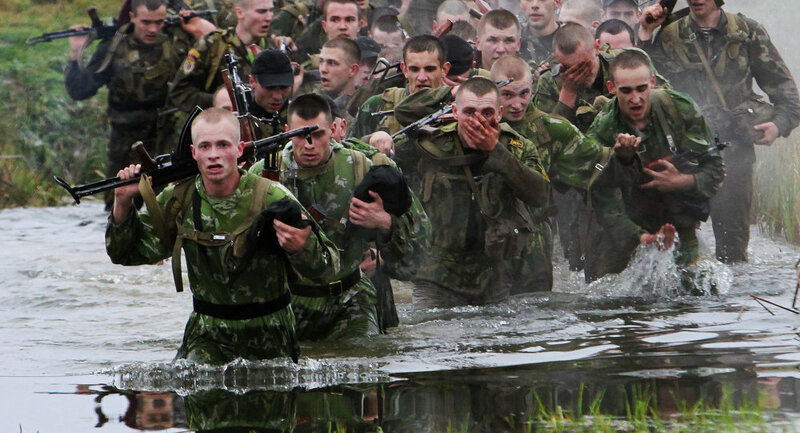 The drills seek to practice a phased strengthening of the country's border with Ukraine. The country's defense minister presented a report to President Alexander Lukashenko, which noted ramped up NATO activity at the country's borders. "It is best to develop the army in such a way that no one would even think of giving us a sidelong glance, that is, the Armed Forces must be powerful," President Lukashenko said on Monday. The exercises, conducted under the authority of Belarusian Deputy Defense Minister Mikhail Puzikov, involve local territorial defense units which consist of reserve servicemen. "The North Atlantic alliance [NATO] ramped up its exercises by more than 1.5 times compared to last year, including large-scale exercises near the border of Belarus," the Belarusian President's press service reported. Belarus also began counter-terrorism drills with China and a competition for reconnaissance troops in the country's west on Monday.